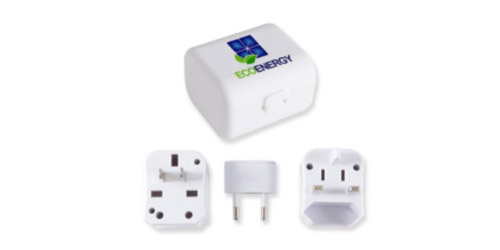 Multi piece travel adaptor suits USA, UK, EU, ASIA outlets, 110-225Volt. Adapters snap into plastic holder for easy storage. CE approved.